Activision may draw the ire of gaming enthusiasts for its annual Call of Duty flagging and insidious Destiny expansion packs, but by the grace of Mark Cerny does Bobby Kotick and his boardroom know exactly what they’re doing. Enter the oft-requested Spyro Reignited Trilogy, three vibrant recreations of Insomniac Games’ legendary PSone platformers. We got to play a trio of short stages, but we’re getting older and have to admit that we don’t remember any of them from the originals. Look, it’s been 20 years, alright? The good news is that every level looked and played great, with Toys for Bob replicating Vicarious Visions’ outstanding work on the Crash Bandicoot N. Sane Trilogy. Visually this is a mesmerizing package, with outstandingly detailed character models given modern animation routines that wouldn’t look far out of place on the silver screen. 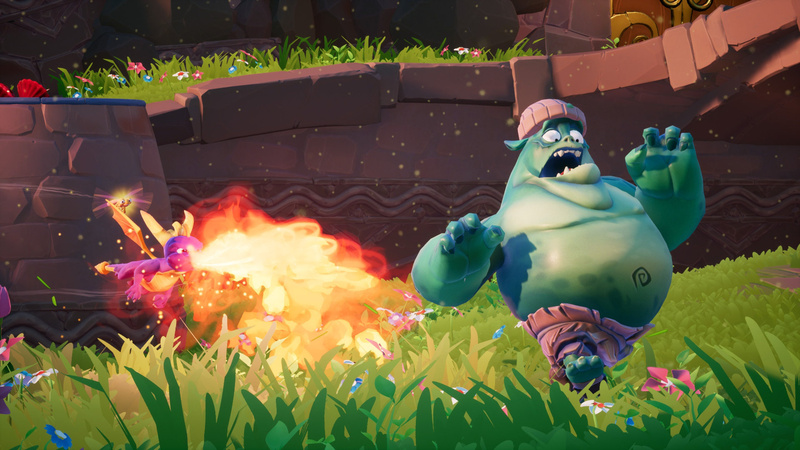 Spyro himself feels extremely responsive on the DualShock 4, but it’s the little details that stick out, as his nose flares and grass burns when he snorts infernos from his nostrils. Despite the lick of paint, the platforming’s old school at heart; the developer’s trying to authentically replicate titles from 1998, so you shouldn’t really expect anything else. But playing through there’s a simplicity to it all that’s seldom seen in an age of open worlds and loot boxes – this, after all, is a package that will almost certainly appeal to both the young and old. 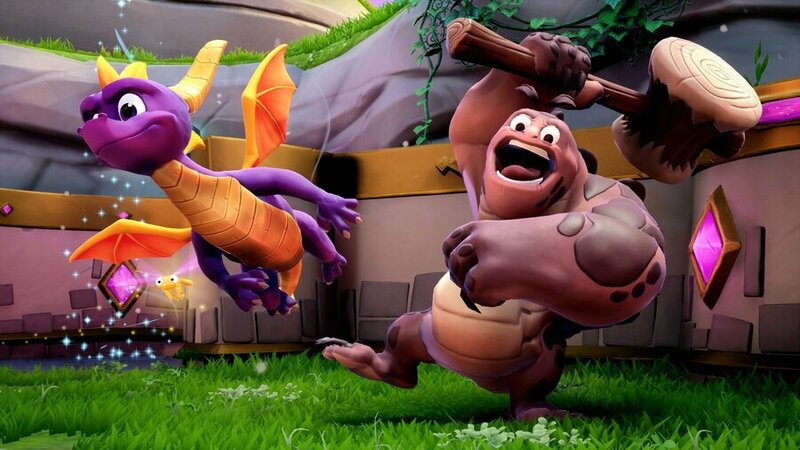 Are you looking forward to some old-fashioned platforming fun in the Spyro Reignited Trilogy? Will you be introducing the games to an entirely new generation? Double jump into the comments section below. This is probably my most anticipated game right now. Never played Crash or Spyro back in the day but I adore platformers and adored the N Sane Trilogy. Im old enough to remember the day I first played Spyro (december 27 1998) I was 15 years old and boy was it an experience fast forward 20 years im now 35 and I am really looking forward to this I cant wait November can not come quick enough for me. How awesome that the first comments on this story are from somebody who's never played these games before and is just excited for some quality platforming, followed by somebody who grew up with the originals and is fuelled by nostalgia. I think we've just discovered the secret to the N'Sane Trilogy's runaway success. Here's hoping Spyro can replicate that as well as the quality of the remaster. Yeah it’s cool that we got those comments like that because I do think these games really do have multiple audiences. Obviously there will be many people buying because they grew up with these games, but they’re also perfect for kids. I borrowed Year of the Dragon from a friend when I was like 8 or something and I loved it. I was never able to beat this one mini-game where you have to skateboard through a long track, so it's going to be pretty neat to try that again. I'm hyped for the trilogy. Loved the original games to death, especially 2. I remember the 27/12/1998 like it was yesterday I had the family puppy lying on my bed at my parents house I had just got my playstion OG with dual shock on Christmas day and I had loads of money to spend and bought Spyro got home and played it , I was wowed at how much fun the game was, loved the fun attitude of Spyro as my whole family thought Spyro was like the family puppy. Found the game a bit dull and too much of a collectathon back in the day, but maybe I'll give it another chance. Long as all games are on disc I'm ready to rock with it! I remember that when the PlayStation came out I was 18 and had gone right off cutesy platformers. My big ps1 games were Metal Gear Solid, Resi Evil 2 and Tenchu. I was a proper adult, you see. Spyro still doesn't appeal, but it must be great for people like @Ypmud above. I felt the same about Sonic Mania last year. I've never played these before and would have been very excited to play them, but I'll wait for a big sale since they're not putting the second and third games on the disk. It wasn't until 2000 or so (I was 10 then) that I discovered the series. As a result I played Enter the Dragonfly and Season of Ice among others, but never the original trilogy. It's a relief these games also shine without nostalgia glasses on. Looks great. Does it support HDR from day one or do we have to wait a year? I loved Spyro: Enter The Dragonfly as a kid. It was probably the one I played the most out of the series. Getting hands on with this at EGX was great and it brought back some memories and I'm really glad I queued up to play it. I honestly can't wait for release so I can relive my childhood again like I did with Crash! Despite being 35 and owning a ps1 I have never owned a spyro game but defenately looking forward to this collection. I miss these fun, colourful platformers that I used to be so fond of...Banjo-Kazooie, I'm looking at you. @Kidfunkadelic83 Banjo-kazooie was one of my favourites too. I'll probably pick these up at somepoint, only ever played one briefly just as i did crash bandicoot before buying the trilogy last year! Are those pics from the game? That would be really impressive. Can't recall everything about these games individually but remember being really impressed with the gameplay, graphics and voice acting, the last of which Nintendo still doesn't like 20 years layer. I didn't know what a collectathon was back that, and they weren't much of a challenge, but I enjoyed the heck out of them as a 30 something year old. Though there was one on Gamecube that was a choppy sloppy unplayable mess, but I don't think that will be an issue here. Not sure about a purchase. I have no time and my kids just played 1 and 2 of the originals, but I'd recommend them for anybody who likes to run around, collect things, and have fun. It looks neat, but I don't have any interest until they're all on the disc. I'm not about this required download bull. No way. It really does look charming though. I loved playing the original on my family's old PS2 via backwards compatibility. Also enjoyed a coupe of the GBA versions which were handled by different developers. I have a soft spot for 3D platformers and collect-a-thons so I'm very hyped for this. Wish it was on PC but at least I finally own a PS4 now! @Ypmud lol I see from your avatar you’re a fan of the blue blur. @wiggleronacid @Deadlyblack @GodOfPie @Ypmud Same here guys, I grew up with Spyro...in fact the first game was also the first PS1 game I got to pick out as a child. Loved the series to death, even the not as good PS2 spinoffs. 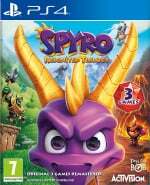 @Jaz007 @RoyalGuard According to reputable sources, Activision delayed the Spyro Reignited Trilogy to November so that all 3 games will be on disc now. Hopefully this turns out to be true, though I have no qualms about having to download 2 & 3 if needed. @rjejr Yes these are all in-game pics, I take it you've been avoiding or ignoring most of the news/screenshots and gameplay videos? I just thought it was going to look like a usual remaster, still all blocky but in HD and wide screen, like Sly, Ratchet and Jak on PS3. Sure, those trilogies all looked marginally better than their PS2 originals, but they still looked like up-ressed PS2 games. These screenshots look like from scratch PS4 games, which I thought were CG trailers or in game cut scenes, nto actual game play. So i watched some videos, and I'd never think that was a PS1 game. Could probably be a from scratch PS3 game, it's not Horizon:ZD, but not even the PS2 could pull that off in motion. Guess I should have paid some attention to Crash, but I just wasn't interested in those games at all, too linear and difficult. Spyro was all about just taking a daily stroll and collecting gems w/ the occasional enemy stopping by to say hi. Much more to my liking. @rjejr Now that you've actually watched some videos, plan to play the Reignited Trilogy eventually? I imagine you'll prob wait for the Switch release. @RoyalGuard You're welcome! Hopefully all 3 episodes on disc do turn out to be true for you . @KidBoruto "plan to play the Reignited Trilogy eventually"
Well I played all three 20 years ago, so I guess that sorta counts as eventually. @rjejr You know what I meant....will you be buying the PS4 Remake and playing said remakes? @KidBoruto Probably no on the playing, my back log is probably 8 years long, but I suppose I might buy it for my teen sons to play. Though there backlogs are really long too, they both just recently started playing Kingdom Hearts from game 1, and they like JRPG which take forever. And Pokemon, unless that's redundant with JRPG. Feels like they've been playing Pokemon nearly year round for the past 10 years, since the DSi launched. And they don't even play Go. @rjejr My backlog is ridiculous and I still plan to make time for Spyro haha. I own almost 200 PS4 games by now, all AAA big budget titles that last for 10+ hours or more usually.